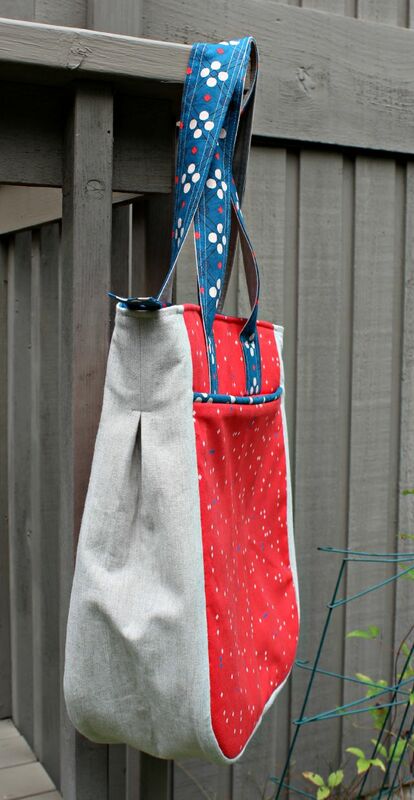 There was a little secret sewing last week, and now that it's been gifted I can share the Super Tote I made for my friend Sharon/smbrendle's birthday. You probably know the pattern is by noodlehead, so I expected it to be a straight-forward sew, and it was. Not to say I didn't have to reread a couple of sections and zoom in on a few photos, but overall it came together just like it was supposed to. fully lining the front pocket rather than just a facing - in my mind it was easier, and was just a really nice finish. 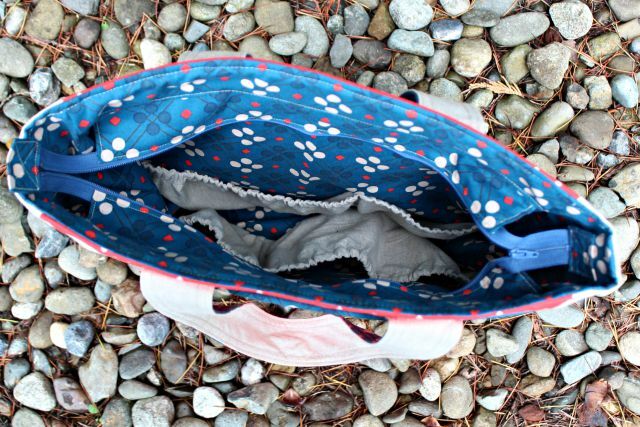 using ByAnnie's Soft and Stable for the sides of the bag, vs. canvas or medium weight fusible interfacing - I was using quilting cotton for the exterior fabric, and I occasionally have bubbling issues with heavier interfacings, and I didn't want to risk that. If I'd used home dec, I might have gone that way, but even so, I like the feel and structure of the Soft and Stable, so who knows. The handle directions for this bag are perfectly fine, they really are. But I adore the handles on my Cargo Duffle (also by Noodlehead), and I kinda wished I'd used them here. Here's a visual showing that detailing. The piping. What I found in pre-made didn't go color-wise, and luckily I had a length of cording lying around. So in moments, I made my own. Noodlehead has a nice tutorial if you haven't done it before, though for the top of the tote pocket, bias wasn't necessary, and I had my fabric glue stick handy, so used that. But talk about easy. And that way I was able to use coordinating fabric. The zipper. Let's just say it was easy-peasy. Here's one of the spots I had to reread and glance at photos, but really, it's a clever technique. If I had a misgiving, it would be that the sides of the bag are so much flimsier than the main bag exteriors. The side exterior is a linen blend (I think Kokka. ), so of course it has a nice hand, and both the side exterior and lining are pleated, which it a super cool detail, but still. It's probably all in my fabric/interfacing choices, and it's perfectly functional as is, but just thought I'd mention it as something to think about. 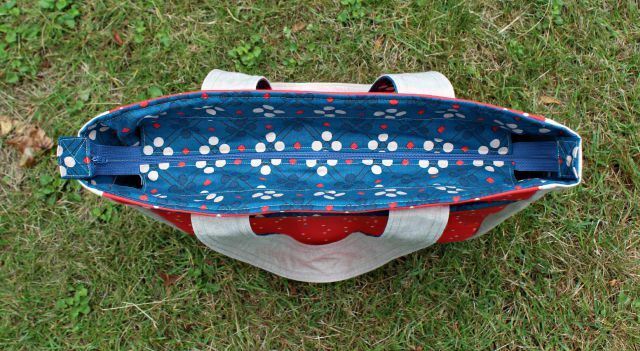 And by the way, the interior pockets are the same fabric as those exterior sides and were an easy install. 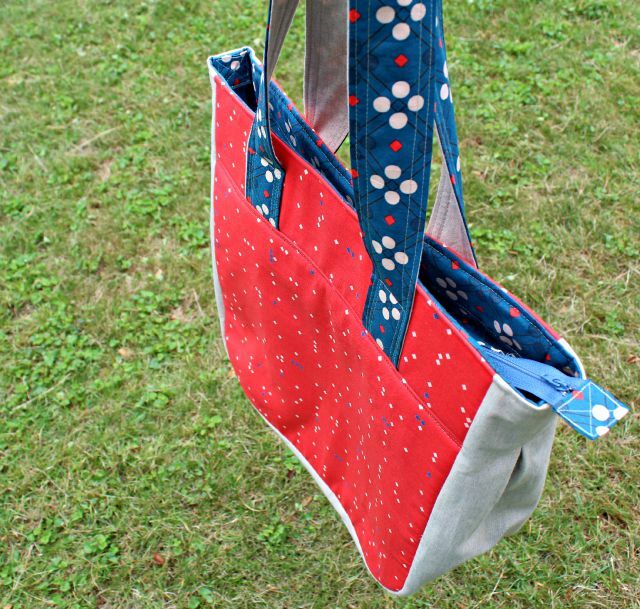 All in all, the tote was an enjoyable make and a more than functional finish. Indeed, a very super tote. so cute. I haven't made one of these yet. looks great! It looks great! I love your fabric choices! 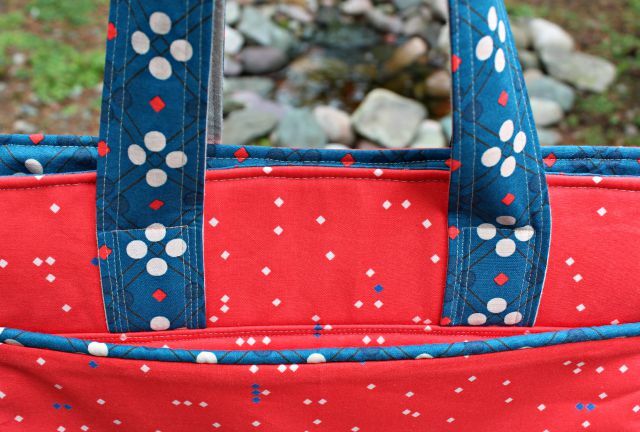 This is a nice looking tote Deb - both the fabrics you chose, and the pattern. I like your review of the process. I, too, have just finished a bag (it won't be on my blog for about a week yet), and noted some bubbling issues with a heavy weight iron on interfacing. I've never experienced this before as this is the first time I used quilting cotton with it. I will definitely keep this issue in mind on future bags. It really is a great bag. Good finishes on it. I wouldn't mind trying my hand at it. I've been gifted two and I love them. LOVE! 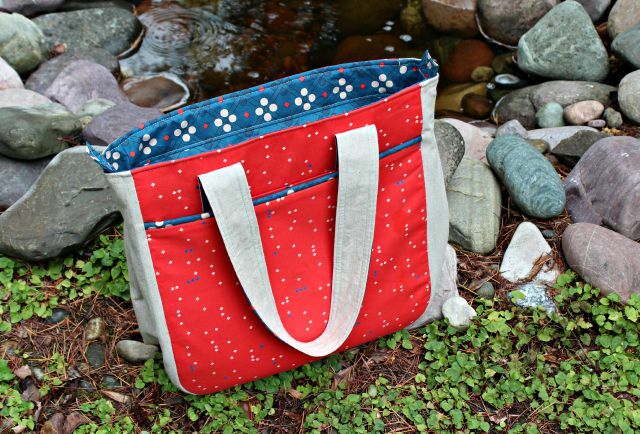 I keep on seeing beautiful bags all over and need to make myself one. Beautiful work.